The grand-daddy of all Virginia breweries turns 25. Let me put on my old-man glasses and tell you a story of a time before it was RVA, just plain ole Richmond. Well back then there were only one brewery and it were Legend by gum. (Yes my old man brain chooses to forget Richbrau.) Now you can’t swing a dead rat without hitting a brewery and where that rat lands up will spring a brewery called Dead Rat Brews. Times they be a changin. We look forward to seeing you there, & THANK YOU for 25 years! Here is one of those young whipper-snapper breweries that I was talking about above. It also happens to be my favorite brewery in town. All praise the juicy IPA. Join them at both (mainly the Fulton) location for some new beers, food and fun. Plogging is a fancy way of saying picking up trash when going out for a walk. This event has the added twist of prizes for most trash. Get to plogging you plogger of plogtown. Väsen is excited to bring a little bit of Sweden to Richmond. On Saturday, April 13th, we’ll be out on Belle Isle doing our “Plogging” event. Last year was such a success that we are stoked to do it again this year. What’s Plogging you say? It combines picking up trash and jogging…can you think of anything more Scandinavian? We’ll have our Väsen-branded tent set up as a meeting spot at the entrance to the Belle Isle pedestrian bridge on Tredegar. We’ll have everything you’ll need to pick up trash as you jog along our cleanup route (see the map in our post below). It should take you less than an hour to do the whole route. To sweeten the deal, we’re making this a competition. You’ll be able to Plog on a team of up to 3 people. At the end of the route, we’ll be weighing bags of trash, and the team with the most trash collected will win free merch and gift cards. After we’re done, head back to the brewery for our afterparty and special drink discounts! We’re hosting this event in collaboration with our friends at Keep Virginia Cozy and Triangle Rock Club – Richmond. The Red Army stand in the corner of City Stadium during every home game and cause a ruckus. They’re a little more civilized during away games and will sit but there will be an occasional ruckus. A great way to introduce yourself if you find the game day experience a little intimidating. Kickoff is at 7. Come hang with us at our first away watch party of the season! We will be hanging with the newest brewery in Richmond, Tabol! Food truck will be on site for dinner plans and you can bring in your own food as well. So come hang and watch the Kickers take on the nerds known as Lansing Ignite. We’ve got an extra special dual release coming this Thursday! 🍺 Our newest DIPA was brewed with Voss Kveik, a traditional Norwegian yeast that finishes clean and allows the hops to shine. Highpoint DIPA was triple dry hopped, predominantly with Galaxy and rounded out with Citra and El Dorado, for a tropical fruit aroma and flavors of pear and citrus. Fans of hazy DIPAs, this beer’s for you! 🍺 This special edition IPA X is double dry hopped with TWICE the standard amount of Citra and Mosaic hops, our favorite combination that provides huge citrus and tropical fruit notes in both aroma and flavor. Double Dry Hopped IPA X is a juicy beer that pours a cloudy, deep golden color, with super low bitterness and a silky soft mouthfeel. “Big Screen Brew” Kolsch was brewed in celebration of the 90th anniversary of The Byrd Theater. A Kolsch was chosen to reflect the type of beer one may have had in that time after enjoying a show at the theater. 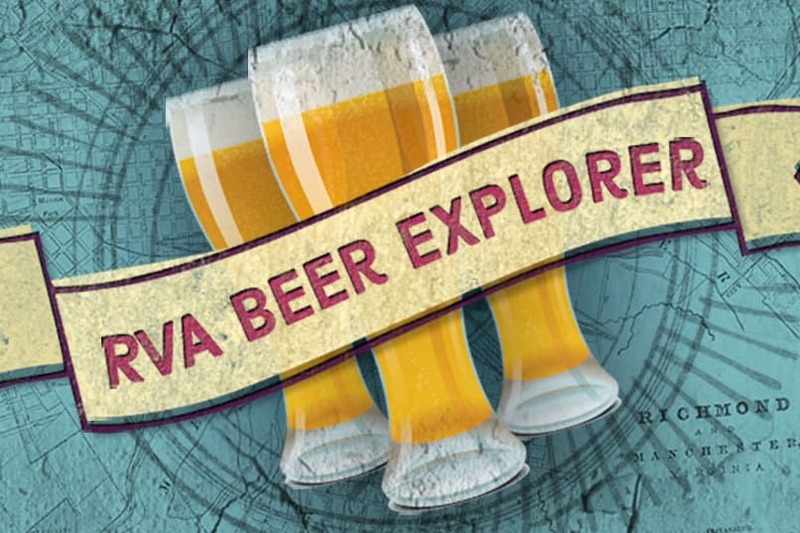 Three Notch’d Founding Brewmaster Dave Warwick and RVA Collab House Head Brewer Willey Broaddus will be present at a screening of “Beerfest” at The Byrd on May 7. “Big Screen Brew” will be available and there will be a presentation on the science of beer as part of the Science at The Byrd Series and an audience Q&A. Tickets can be purchased at The Byrd box office or online. Though vain and boastful about her beauty in Greek mythology, Cassiopeia’s appeal is undeniable in Final Gravity’s newest Double IPA. Boasting delicate yet strong aromas of melon, coconut, pine, peach, and whispers of pineapple – Cassiopeia drinks with a smooth bitterness and additional notes of lemongrass and tangerine. Cashmere and Mosaic hops create a heavenly congregation of radiant flavors that are certain to captivate your senses. Available by glass, growler, and Crowler.